The genomic sequence of any gene in Ensembl Genome is shown in the Gene tab, under Sequence in the left hand menu. The default display shows the exons and introns in addition to the flanking sequence. 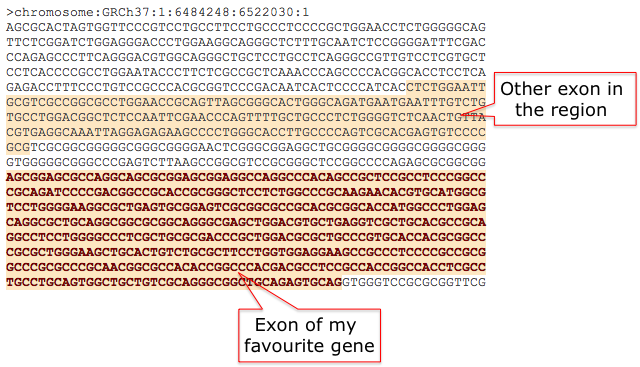 All exons in the region are highlighted in peach colour. Exons that belong to the gene of interest are shown in red letters.